2018 Funk n' Sour Fest! We are extremely excited to announce the lineup for 2018 Jester King Funk n' Sour Fest on October 25th! We believe it's the best lineup yet and brings together an incredible collection of food and drink talent from our area. 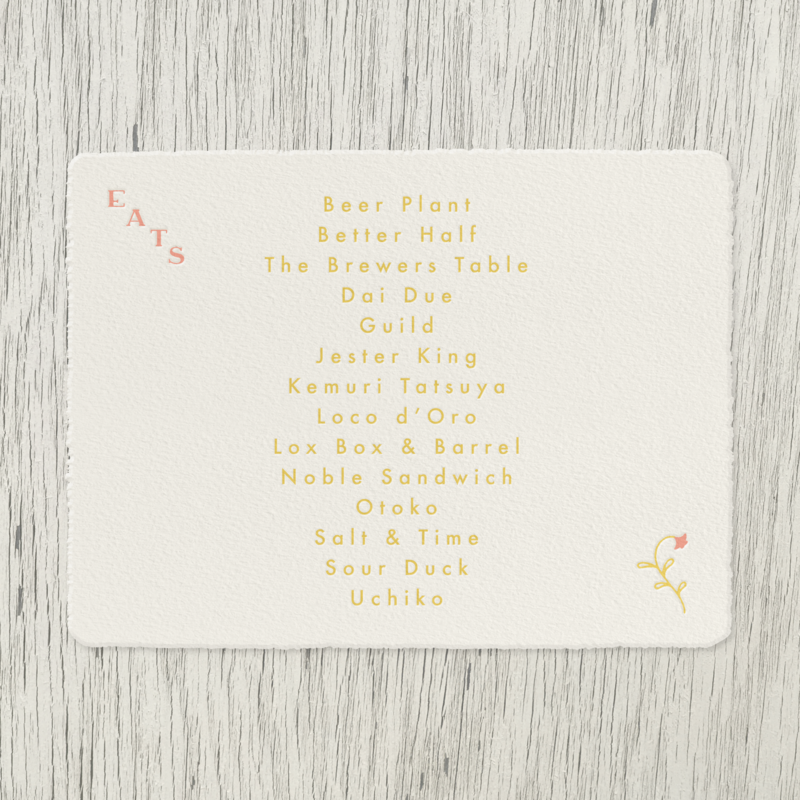 For those unfamiliar, Funk n' Sour Fest is the night when we pair some of the best restaurants in and around Austin with some of our favorite producers of beer, wine and cider. Each restaurant prepares two small plate dishes paired with a different beer, wine or cider. The result is an incredibly unique, uber-enjoyable, frankly overwhelming sensory experience not to be missed. Guild paired with St. Elmo Brewing Co.
Kemuri Tatsuya paired with Live Oak Brewing Co. The event will also feature Figure 8 Coffee Purveyors pouring espresso shots from a special coffee blend we helped them create and cheese selections from Bee Tree Farm! Guests are free to experience the food and drink pairings as many times as they'd like in a relaxed atmosphere with live instrumental music. Do note that in the past a few of the pairings have run out towards the end of the night. We'll announce the pairings closer to the event date. 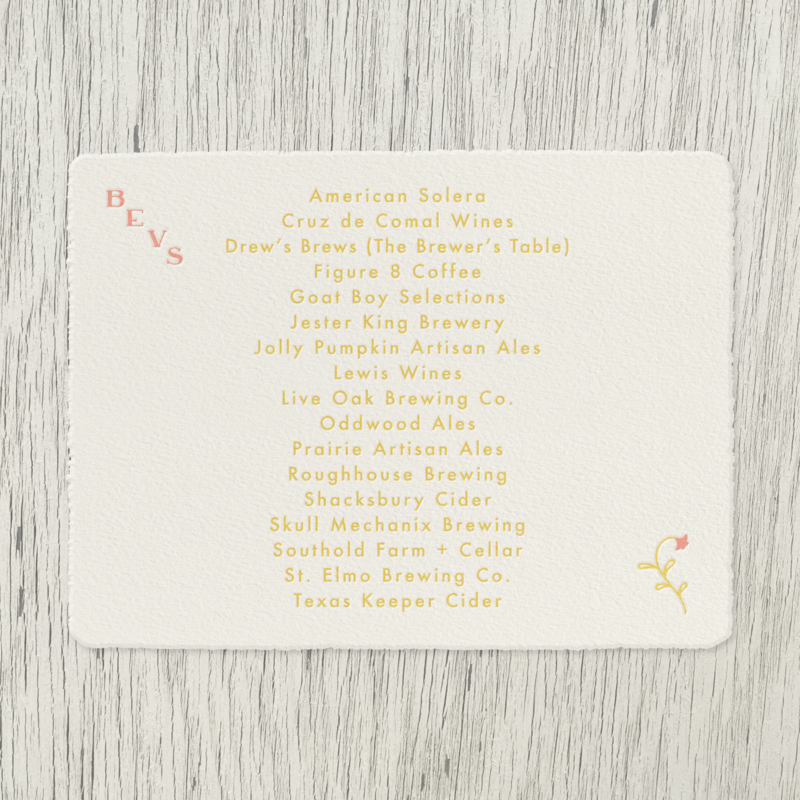 We're also happy to say that this is the first time Jester King will be participating in the event as a restaurant! 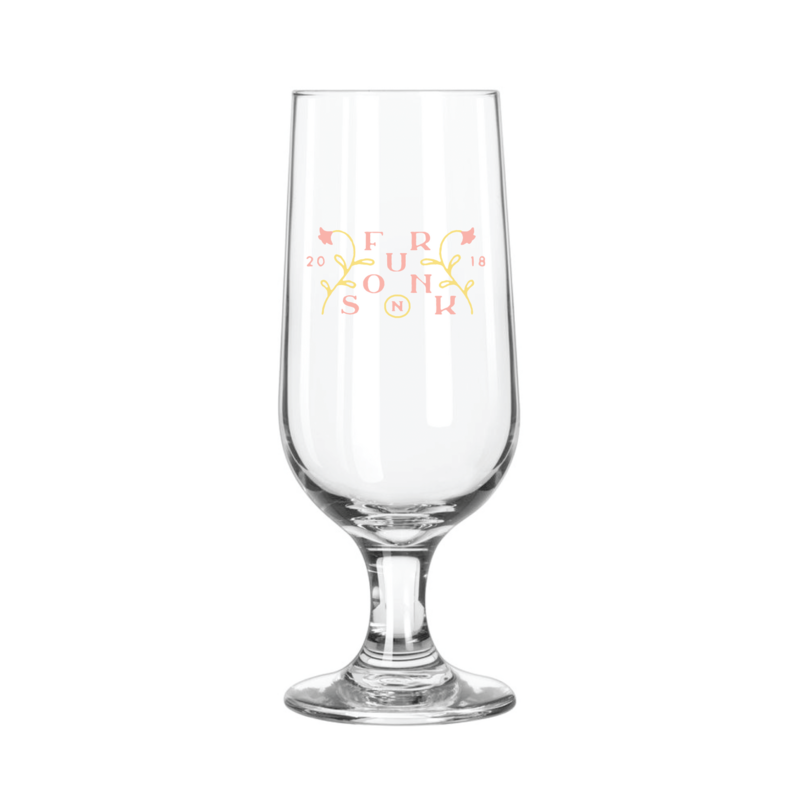 On top of the memorable experience, guests will also receive a custom 2018 Funk n' Sour Fest glass (pictured below) and also have the first opportunity to purchase a special new fruited SPON blend from Jester King. The event will take place from 6-10pm on Thursday, October 25th. The first hour will be a reception at our restaurant with samplings of Jester King beer, followed by the main event from 7-10pm. We hope you'll join us for this unique, exceptional event, which should prove to be one of the food and beverage highlights of the year! Cheers!